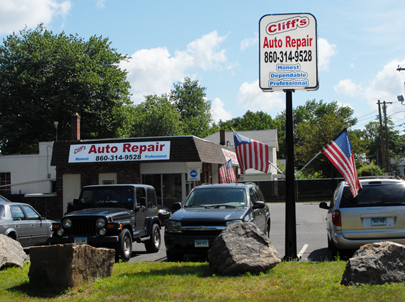 Cliff Jones opened his one-man auto repair shop on 410 Main St, Terryville, CT in 2008. Prior to the three bay garage his shop currently resides at, the company was located on Prospect Street in a one-bay garage. “We’re in a great location in a great town, and we’re starting to get a bigger following,” he said. Jones said, customer appreciate the personal attention he provides.